When you begin to grow old, your mind has the tendency to drift back in time. 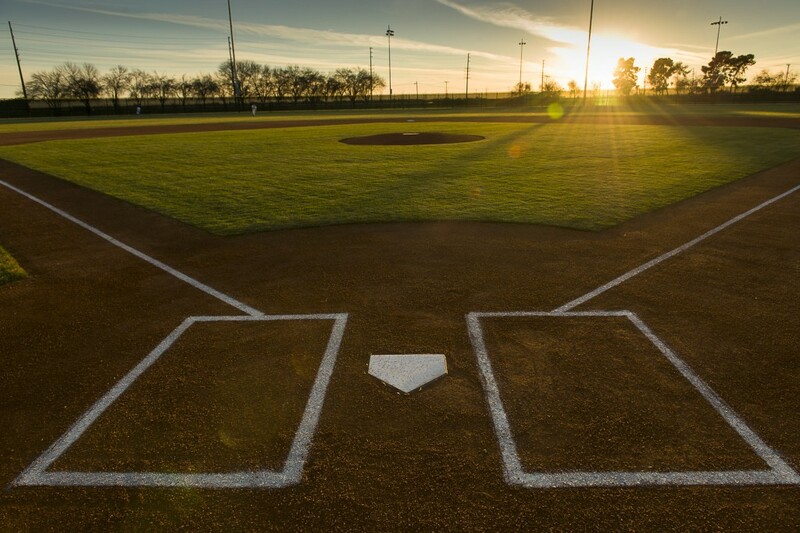 I was driving in the area by my home and noticed the nice baseball fields. They consisted of nice dirt infields, cut grass, backstops and fences. Problem was nobody was playing on them. Kids don’t play pickup games like before. The fields are used for league games, such as park district or travel leagues. Sandlot baseball is an “Old School” term. Sandlot baseball doesn’t exist in suburban life. Kids don’t meet at a certain time and choose up sides decided by a bat flip. Let’s compare youth baseball of today with my youth baseball or “Old School” youth baseball. Now I don’t want anyone to take this as a slam against youth baseball of today. Nothing can be further from the truth as I have three grandsons who play. Let’s start out with a typical day in the summer from my youth and compare it to today’s. Wake up, have a bowl of cereal, grab my mitt and off to the park to meet my buddies and start a full day of playing baseball. Today a youngster wakes up and turns on TV to watch cartoons. Mom gets him to come to the table to eat breakfast and an hour later he is playing XBox until lunch. After lunch, I am off to the schoolyard for another round of baseball. You could find me pitching into a chalked line strike zone box drawn on the cement school yard wall. We called it fast pitching. We would chip in to buy either a ten cents or twenty-five cents rubber ball. The object was to try and strike out your buddy by throwing fast balls and curves. The young man today meets his buddies and they text or roam the Internet. Now this is not to say young kids can’t play, they can. Some have the potential to reach higher levels in the game. While I joke about texting and the Internet, they have great tools at their disposal. Indoor batting cages that can be used all year round and metal bats that never break and trampoline the baseball on good contact. We had wooden bats that would crack and require a nail, glue and tape to be ready for use. They have a tee to practice with. We would go to a field, throw small rocks in the air and hit them. What I see as a main difference is today the kids are bigger and stronger but we had a big edge in fundamentals. We could catch and throw. There is a game I play with my grandsons called pinners. The game is simple, throw a rubber ball against a wall and catch it. I would never change the neighborhood or the time period I grew up in. 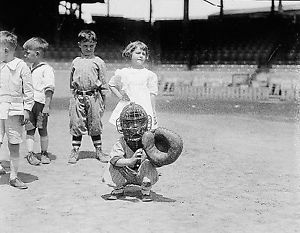 We were all a bike ride away from wherever we needed to be, school, store and best of all, the little league field. Game day was special. I got to wear my uniform and play a game with an umpire, a new white baseball, real bases and a coach. We would get there early and play against each other until it was game time. The games were six innings and the pitcher could pitch the whole game. No pitch counts and Tommy John was not heard of yet. No families had two cars, no SUV’s, no mini-vans, just our mitts on our handlebars and our cleats (rubber) tied together around our necks. 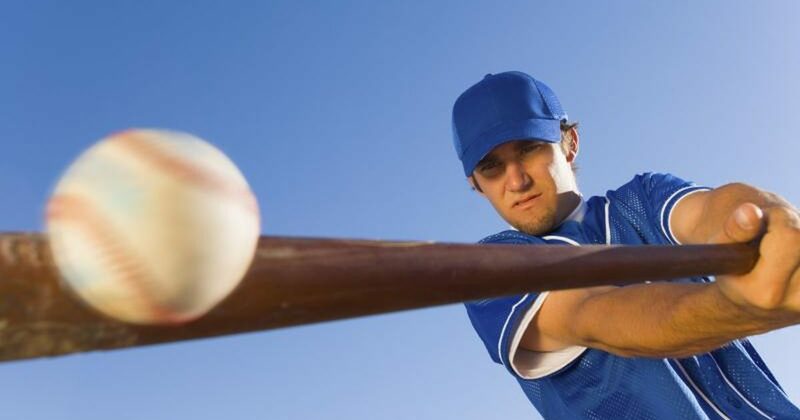 I watch many youth league baseball games and I have to hold myself back from trying to help a kid hold the bat correctly or how to field a ground ball. One thing I don’t understand and it’s really an “Old School” issue is winning. Winning is not important to today’s players, coaches and parents. We played to win, whether it was a sandlot or league game. No one ran back to the dugout after a strike out and got high fives from the coach and players for trying. We were not good losers. I am sure some people may object to my thoughts. I only say what I see and what I lived. I wish more young kids today would love baseball like me and my sandlot generation does. Old school sports fan.Retired .Avid golfer and attendee to all my grandkids events.People person.